The general of the Water-tiger Army of the "Big Death-Stars". By changing itself into a liquid and moving from liquid to liquid, it is able to take the shape of a human or Digimon at will. 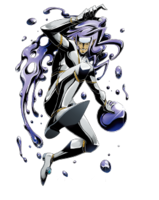 For this reason, spying is its specialty, and it puts all the information it acquired together, then relays it to its Cyborg Digimon to implement its strategies. No matter the tactics, it always puts being beautiful as its top priority, and its personality is such that it will reject tactics that sully its own beauty. Although it leads an army, its faith is only in its own beauty, so it doesn't have even an iota of anything like mutual trust, even for the Digimon in its army. The cute, multi-colored "Drippin" water-spirits composed and formed within its body, in contrast to their appearance, each possess an offensive ability of frightening degree, including close-combat, abnormal condition, and detonation abilities, according to their color. It has become a word-of-mouth rumor that among "Drippin" there exists one packed with Splashmon's obsession, the "Miraculous Beauty Fluid" that turns the skin glossy. The army of Drippin that are fired with its "Poisonous Force" paralyze the enemy force's chain of command, causing the battlefield to fall into chaos. 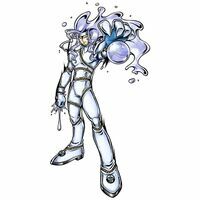 Furthermore, with its "Hydro Pressure", which shoots water of high pressure and speed from its fingertips, and its "Bead-drown", which instantly gathers trace elements and converts them to liquid around the opponent's head, it possesses techniques that can cause abnormal conditions. When Splashmon gets wounded and is driven into a corner, it unzips the chucks all over its body and reveals the true form of Splashmon lying within. Those who saw this form, let alone the one who wounded it, are driven to death with its "Tiger Typhoon", which consumes everything. However, because its true form is, against its will, simply hideous, it absolutely hates exposing this form. The general of the Water-tiger Army of the "Big Death-Stars". 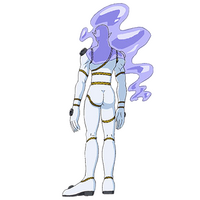 By changing itself into a liquid and moving from liquid to liquid, it is able to take the shape of a human or Digimon at will. 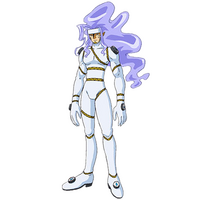 For this reason, spying is its specialty, and it puts all the information it acquired together, then relays it to its Cyborg Digimon to implement its strategies. No matter the tactics, it always puts being beautiful as its top priority, and its personality is such that it will reject tactics that sully its own beauty. Although it leads an army, its faith is only in its own beauty, so it doesn't have even an iota of anything like mutual trust, even for the Digimon in its army. The cute, multi-colored "Drippin" water-spirits composed and formed within its body, in contrast to their appearance, each possess an offensive ability of frightening degree, including close-combat, abnormal condition, and detonation abilities, according to their color. It has become a word-of-mouth rumor that among "Drippin" there exists one packed with Splashmon's obsession, the "Miraculous Beauty Fluid" that turns the skin glossy. The army of Drippin that are fired with its "Poisonous Force" paralyze the enemy force's chain of command, causing the battlefield to fall into chaos. Furthermore, with its "Hydro Pressure", which shoots water of high pressure and speed from its fingertips, and its "Bead-drown", which instantly gathers trace elements and converts them to liquid around the opponent's head, it possesses techniques that can cause abnormal conditions. When Splashmon gets wounded and is driven into a corner, it unzips the chucks all over its body and reveals the true form of Splashmon lying within. In order to engulf all who saw this form, let alone the one who wounded it, it smashes and drowns all of its enemies without leaving any refuge using its "Tiger Typhoon", which generates a massive flood. However, because its true form is, against its will, simply hideous, it absolutely hates exposing this form. The Death General of Cyber Land. The Death General that rules Cyber Land! 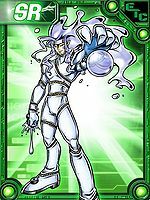 By changing itself into a liquid and moving from liquid to liquid, it is able to take the shape of a human or Digimon at will. 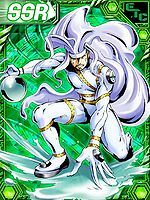 The "Drippin" water-spirits composed and formed within its body, in contrast to their appearance, each possess an offensive ability of frightening degree, including close-combat, abnormal condition, and detonation abilities, according to their color. No matter the tactics, it always puts being beautiful as its top priority, but when it gets wounded and is driven into a corner it unzips the chucks all over its body, revealing the hideous true form lying within. Title: 「水虎将軍」 — "Water-tiger General"
Splashmon is one of the seven Death Generals and rules over Cyber Land. Splashmon appears in one of the omakes. Splashmon can only be obtained as a collectible card. 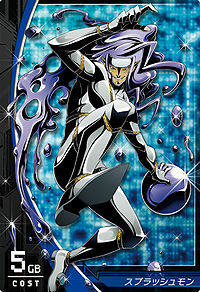 Its card is part of the Big Death-Stars (ビッグデスターズ Biggu Desutāzu) set. The general in charge of the Water-tiger Army. It is capable of turning its body into liquid, and specializes in spying activities such as moving between bodies of water and disguising itself as someone else. It loves all things beautiful, including itself. ↑ Digimon Xros Wars: "The Xros Heart Break-up Crisis! The Water-tiger General's Devious Trap"
This page was last modified on 22 March 2019, at 21:20.